While Los Gatos is named after the furry felines that inhabit the Santa Cruz Mountains, the town has definitely gone to the dogs, thanks to the canine-friendly rules adopted by the establishments lining the streets in downtown. While Los Gatos is named after the furry felines that inhabit the Santa Cruz Mountains, the town has definitely gone to the dogs, thanks to the canine-friendly rules adopted by the establishments lining the streets in downtown. Advancing the agenda for man’s best friend is Society Dog, a social club for dogs and their owners founded in 1999 by Terri Festa. 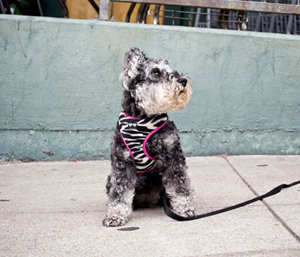 Every Tuesday evening in the Town Plaza (at the corner of North Santa Cruz Avenue and Main Street), Society Dog provides an alternative to the usual walking route by strolling through the downtown district for approximately one hour. (Dogs must have non-retractable leashes.) Every walk’s final destination is a woof-welcoming restaurant for— what Society Dog refers to—“Yappy Hour.” It’s a tremendous opportunity to get acclimated with peers and socialize. The same goes for dogs. October 22nd marks the 10th anniversary of Howling Halloween, Society Dog’s special event dedicated to trick-or-treating in over 30 shops and putting people and pooches, alike, in the most adorable (or spookiest) costumes imaginable. Pre-registration is available online for $15 ($20 on event day), and all proceeds benefit the K9 Cancer Campaign, an effort to research and eradicate cancer from dogs once and for all. Check-in and registration on the day of the event is from 4pm to 7pm at US Bank (127 N. Santa Cruz Ave), and trick-or-treating runs from 6pm to 7:30pm. At 7:30pm, extraordinary prizes will be awarded in several categories: Best Individual Dog Best Small Team (requirements are a maximum group of four, minimum of one human and one dog, and all must be in costume), Best Large Team (minimum group of five with at least two dogs, and all must be in costume) and Best “Green” Individual Dog (a dog costume made entirely of recycled materials). Non-retractable leashes between 4-6 feet are required.